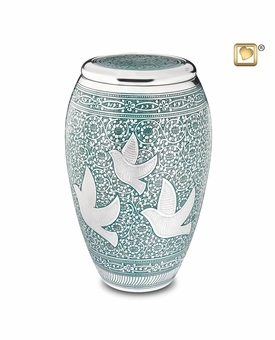 The Returning Home Doves Cremation Urn for ashes is made of handcrafted solid brass with a silver finish and blue enameled inlay. 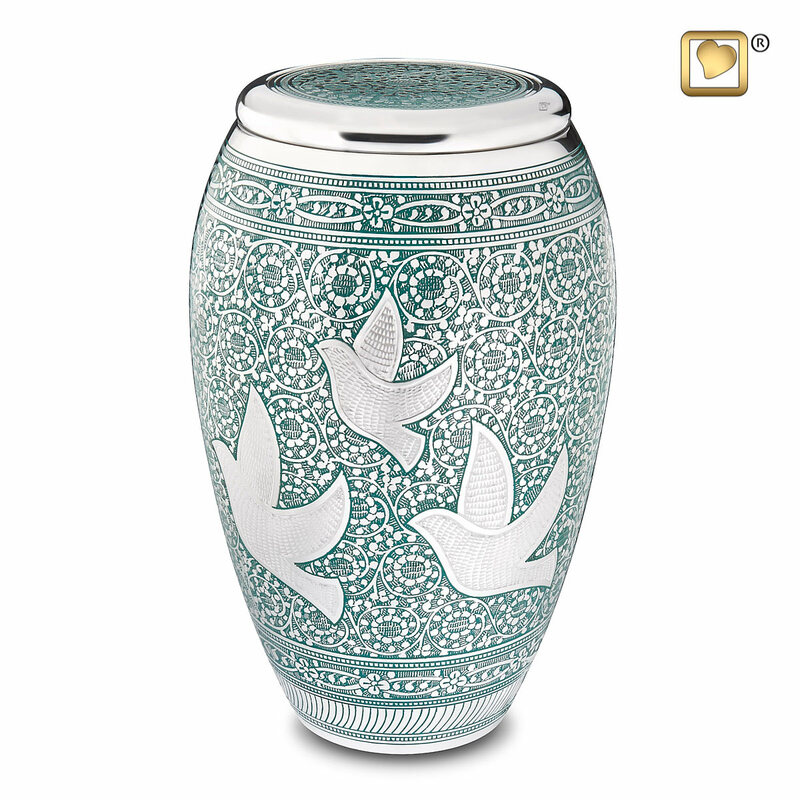 Doves are traditionally symbols of love, peace or spiritual messengers. 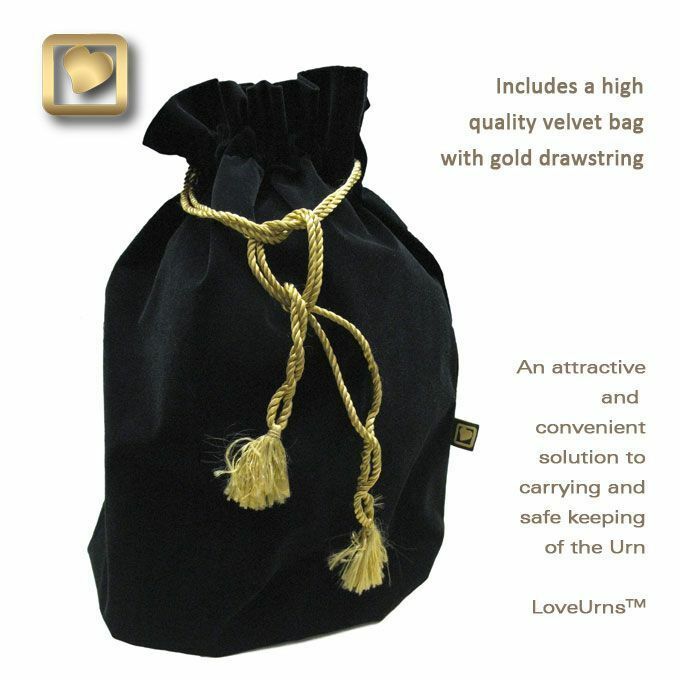 Includes a velvet pouch. 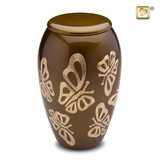 This is a beautifully designed urn that will be holding my father. 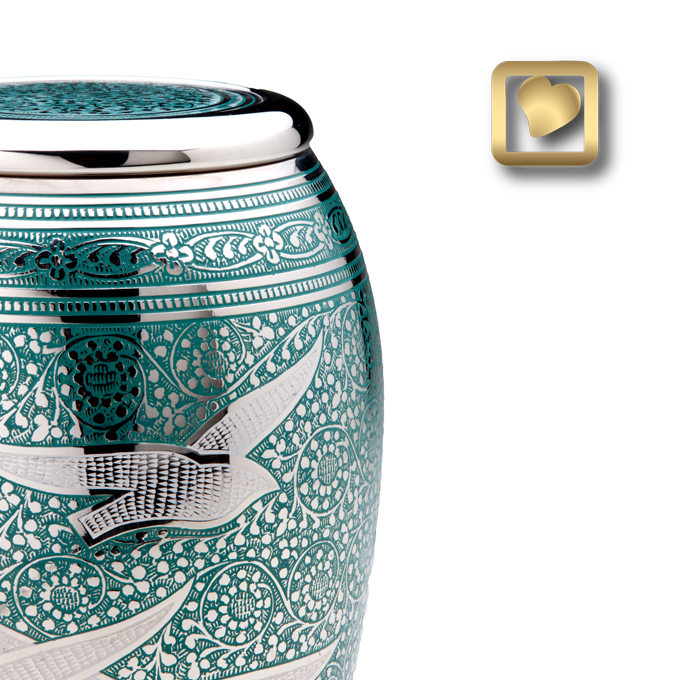 So pleased with everything about it, the size, weight and most of all the design of doves... just beautiful. Thank you. 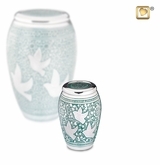 This urn was perfect for my husband and I. Our plan is to have our ashes mixed together and scattered in the ocean. 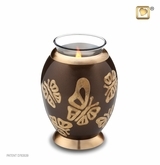 My husband passed first and this urn expresses our love of the sea. 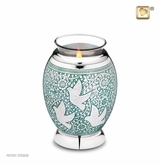 The color is reminiscent of the ocean green/blue and the birds, although meant to be doves, are close enough to seagulls to suit me. Also, we have three grandchildren so one bird for each, they liked that. 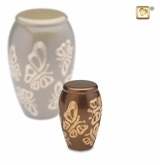 This urn is large enough for two and very sturdy and heavy.